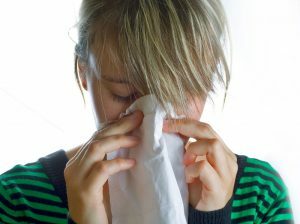 Indoor air quality is a big concern during two specific seasons of the year: winter and summer. Those are the times when outdoor temperatures are at extremes and homes need to be sealed up to help keep them energy efficient. The less heat a home gains in summer and loses in winter, the less energy the HVAC system needs to consume. Those two seasons also bring specific problems. In summer, we experience high humidity in the Shreveport area, and this is where whole-house dehumidifiers are excellent. In winter, the big problem is flu and cold season, and a shut-up house can make it far easier for illnesses to spread around. How can you alleviate this problem? We recommend using a UV air purifier in Haughton, LA.